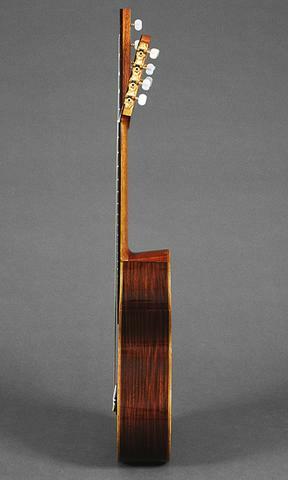 Scale lenght: 1st to 7th string: 55,05 cm. Top: Alerce Patagonico (Fitzroya Cupressoides). The rosette is oval, handmade, with mother of pearl figures inlaid in a black ebony mastic. Soundbox measures, lenght: 41,3 cm. soundboard depht: 98 mm, 105 mm. 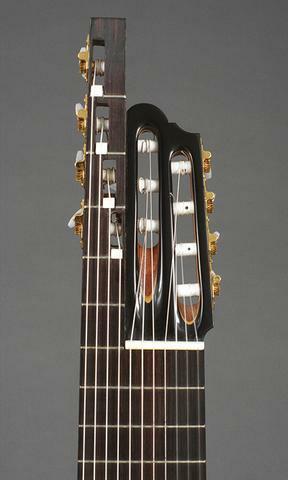 Strings spacing 1st to 11st string: 11,6 cm. 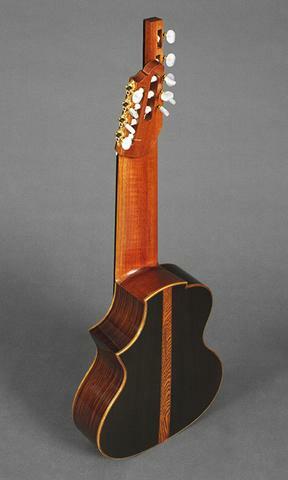 Back and sides: Indian Rosewood (Dalbergia Latifolia). 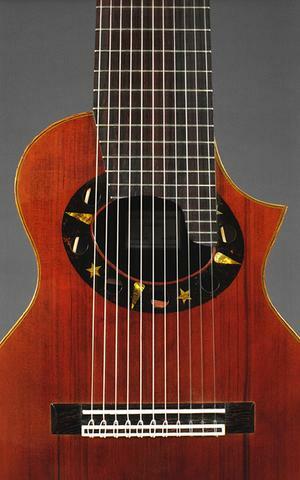 Neck: "Cedro de Oran", (Cedrela Balansae), with two truss rod. Neck thickness at nut: 17 mm. 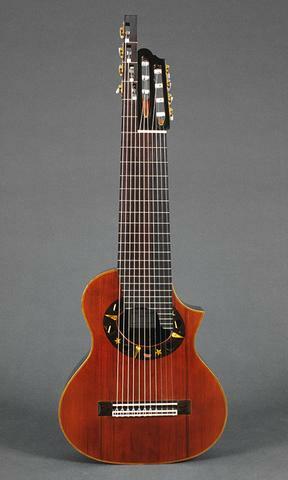 at 11th fret: 19 mm. 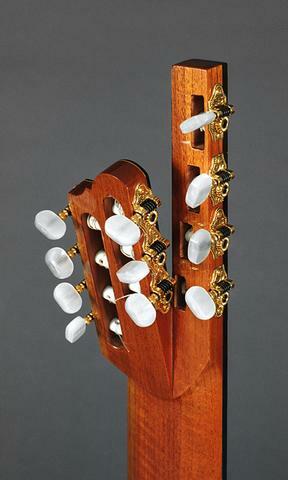 Strings spacing at nut 1st to 11th: 80 mm. Wide of the fretboard at nut: 89 mm. 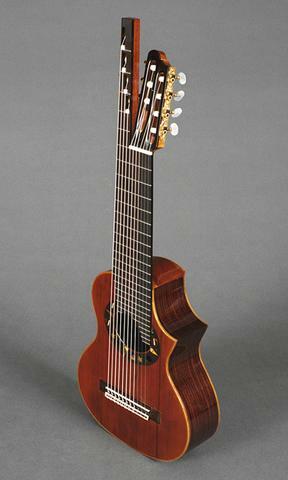 at 12th fret: 109 mm. Total frets: 28. Nickel, tall, narrows.